A powerful cigar which produces a very tasty smoke. Direct, this Corona needs a well paced smoke to avoid burning. Once only produced as a machine made cigars, Habanos did the right thing and now roll these by hand. Hand rolled, presented in Tubos format. 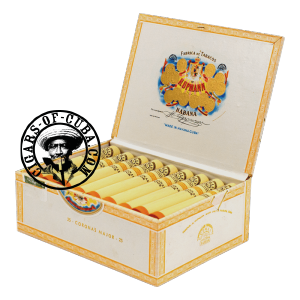 Typical H.Upmann flavors and strength. Can do with some age to bring the cigars alive.